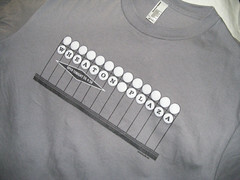 just up the pike: why didn't westfield celebrate wheaton plaza's 50th birthday? why didn't westfield celebrate wheaton plaza's 50th birthday? This is a sign from Westfield Garden State Plaza in Paramus, NJ. It's one of the largest malls in the country and, having opened in 1957, one of its oldest. (The first mall on the East Coast was the now-demolished Harundale Mall in Glen Burnie, dontcha know.) In 2007, its current owner Westfield put up signs around the mall celebrating its 50th anniversary. Westfield's website even boasts of Garden State Plaza's "prestigious history." Westfield Wheaton Wheaton Plaza opened in 1959, meaning it turned 50 years old last year. Where was its sign? Why didn't Westfield try to commemorate that mall's history? Shopping malls may seem like an emblem of consumerism and suburban homogeneity, but after a half-century, they're historical landmarks. Three generations of Montgomery County residents have shopped at Wheaton Plaza, which has become a part of our local culture and history, even if you most of the mall's 1950's-era features have been covered up or removed altogether. A savvy mall owner like Westfield should have taken advantage of their property's history, if only for a marketing campaign. In the meantime, fan of Wheaton Plaza "Guinness Steve" started a Facebook group for sharing "stories and memories and most importantly, photos" of the mall's history.